Focusing on texts in the Hebrew Bible, and using feminist hermeneutics, Phyllis Trible brings out what she considers to be neglected themes and counter literature. After outlining her method in more detail, she begins by highlighting the feminist imagery used for God; then she moves on to traditions embodying male and female within the context of the goodness of creation. If Genesis 2-3 is a love story gone awry, the Song of Songs is about sexuality redeemed in joy. In between lies the book of Ruth, with its picture of the struggles of everyday life. - Publisher Focussing on texts in the Hebrew Bible, and using feminist hermeneutics, Phyllis Trible brings out what she considers to be neglected themes and counter literature. 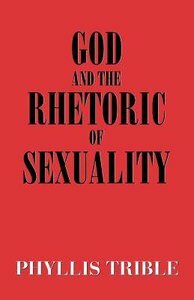 About "God and the Rhetoric of Sexuality"
Focussing on texts in the Hebrew Bible, and using feminist hermeneutics, Phyllis Trible brings out what she considers to be neglected themes and counter literature. Phyllis Trible is University Professor of Biblical Studies at Wake Forest University Divinity School, and Baldwin Professor Emerita of Sacred Literature, Union Theological Seminary, New York.